Genre: Visual Novel, uses a point-and-click interface. Description: A remake of the PC98 game that was released in 1992. 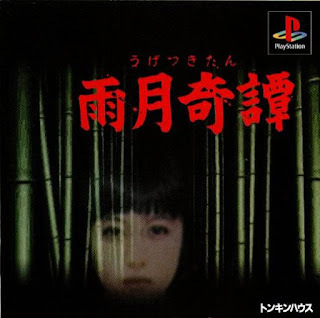 Both games are based on Ugetsu Monogatari, a collection of nine supernatural tales by the Japanese author Ueda Akinari. Unlike the PC98 version, this game's presentation is a combination of digitized sprites, 3D polygonal models, and artwork that is wildly varied. You can watch footage of the PC98 version here. The protagonist has been bed-ridden in a hospital for some time as a result of a disease, and feels an enormous amount of despair. While contemplating suicide on the roof, he hears a girl's voice speak out from behind him: "You won't die comfortably." In pursuit of the girl, the young man eventually enters a haunted house as well as a series of mazes. The game utilizes a point-and-click interface and feels more like an adventure game than a standard sound novel. 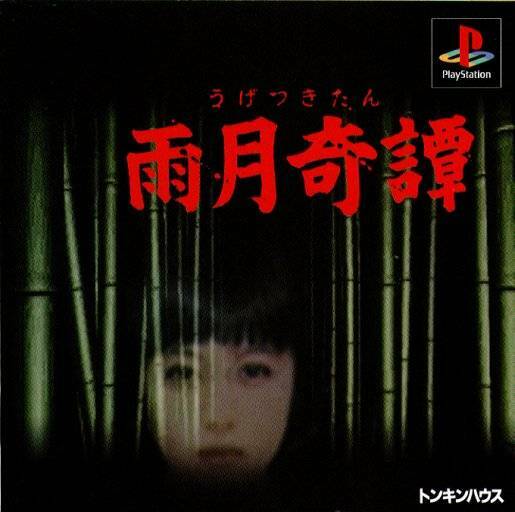 Below are screenshots of the game's packaging, the PlayStation version of the game, and the original PC98 version.